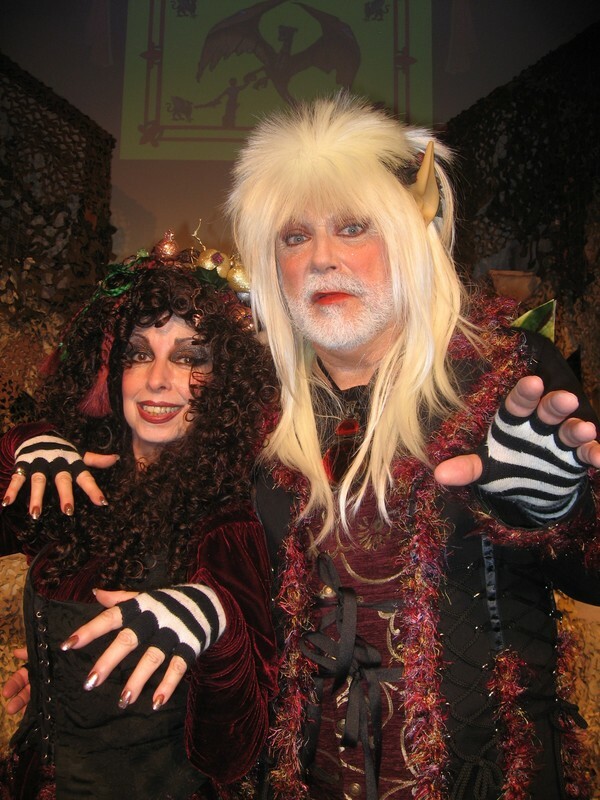 In 1973, Evelyn Rudie and Chris DeCarlo became Artistic Directors of Santa Monica Playhouse, where they have, as a team, created over 600 productions, and have appeared live on stage for over 10,000 performances each. 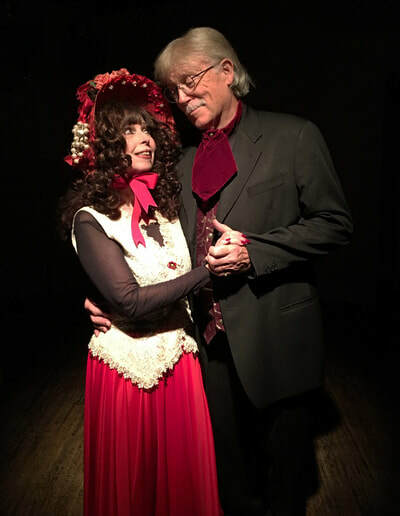 Dedicated to furthering public awareness of the importance of live theatre for the health and well-being of our local and global communities, Evelyn and Chris are the co-founders of Actors’ Repertory Theatre, the Young Professional’s Company, the Mobile Touring Project, the Schools Theatre Excursion Project, and the American Cultural Youth Ambassadors. 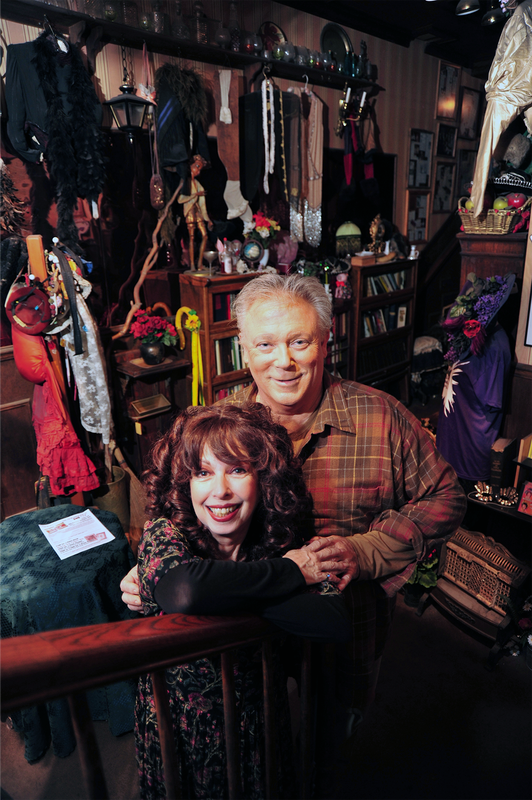 Under their aegis, the Playhouse has received more than 250 awards and commendations, and has directly touched the lives of more than 5 million people. 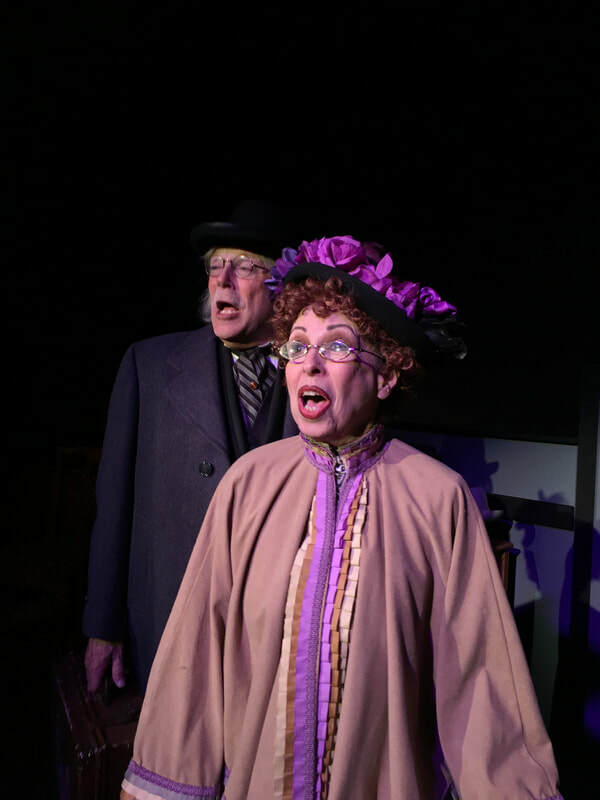 Evelyn Rudie, “who may well be the most talented and prolific producer-director-lyricist-composer-musician-actress in theatre” (L.A. Times), can truly be called one of Hollywood’s success stories—a child star who didn’t go bad. Evelyn can look back upon a colorful and dynamic career in theatre, motion pictures, television and arts-in-education. For her performance as “Eloise” on TV’S Playhouse 90, she received an Emmy nomination at age six—the first time a child actress was so honored. She then guest-starred for years on almost every TV show of importance, including The Red Skelton Show, Alfred Hitchcock Presents, Wagon Train, 77 Sunset Strip, Lawman, The Tonight Show with Jack Paar (7 appearances), G.E. Theatre (with Ronald Reagan), and The Groucho Marx Show. Her film debut in The Gift of Love at 20th Century-Fox with Robert Stack and Lauren Bacall earned her such notices as “reminiscent of Louise Rainer’s playing Anna Held” from the N.Y. Times’ Bosley Crowther and ”A film phenomenon!” London Daily Express. and Edwin Schallert of the Los Angeles Times hailed her as “a sensationally interesting child star!…a real wonder child, both as a personality and in her acting." ​For film work performed with Jack Webb for the U.S. Treasury Department, Evelyn was invited to the White House, where First Lady Mamie Eisenhower personally thanked her for “patriotic services rendered.” She was also given the golden key to the city and honorary membership in the Secret Service. Miss Rudie’s background is as colorful as her career. Ranking highest among the show business luminaries in her family are her grandfather, Rudolf Bernauer, who wrote the librettos for The Chocolate Soldier, May Time, etc, her father, Emery Bernauer, writer of the famed Nelson anti-Hitler Revues at the Tuschinsky Cabaret in Amsterdam during World War II (he wrote 60 shows and over 600 songs in less than three years—a feat never before accomplished in show business history), and her late aunt, Agnes Bernelle, Elvis Costello’s recording protegée, whose album, “Father’s Lying Dead On The Ironing Board” swept the charts in Great Britain in the early ’90’s. The proud owner of a gold star in Hollywood Boulevard’s Walk of Fame (at the corner of Hollywood and Highland), Evelyn graduated from Hollywood High with highest honors, and then went on to study film production at UCLA, meanwhile always maintaining her uninterrupted studies as actress, dancer, singer and musician. 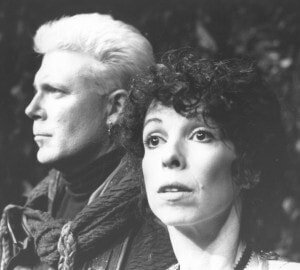 In 1977, together with composer Ben Weisman (57 gold records), Rudie & DeCarlo began a major work, the Sholom Aleichem Quintilogy. 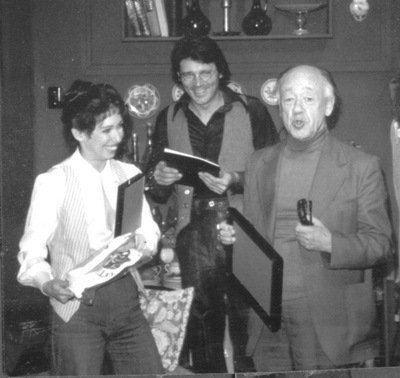 The first play in this series of five productions was the award-winning “Author! Author! 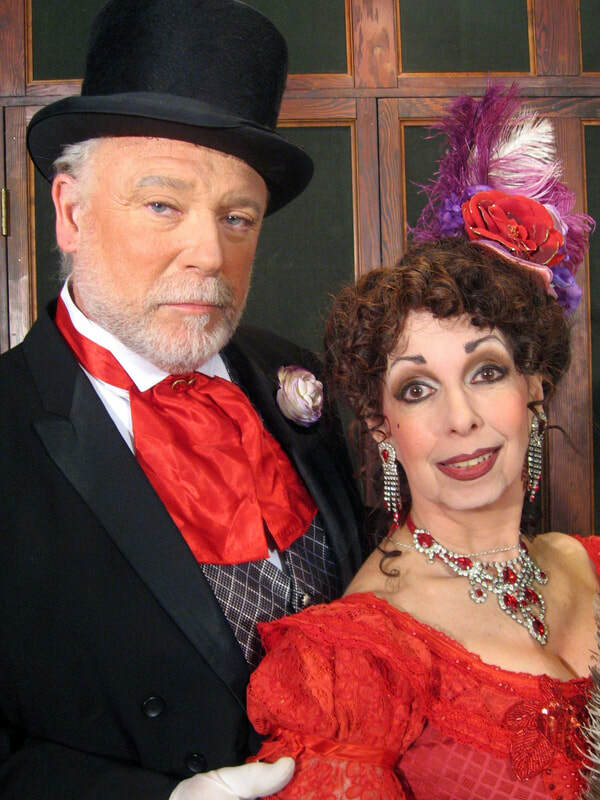 - an evening with Sholom Aleichem”, the musical that played Los Angeles for an unprecedented 4½ years, breaking all box office records, and has since toured Southern California and returned to the Playhouse for several encore engagements as the single most-requested of all Santa Monica Playhouse productions. 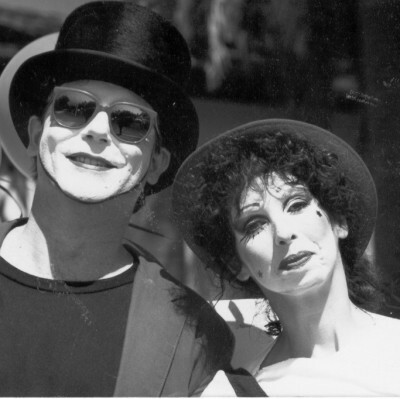 Next came “The Clown Prince” and “The Great Fair - Sholom Aleichem on Tour”, both of which were critically acclaimed and played for 3½ years each. Evelyn’s song-writing talents parallel those of her father and grandfather, and her credits include the score for the highly-acclaimed Los Angeles premiere stage adaptation of Israel Zangwill’s “King of the Schnorrers”, the musical version of Sholom Aleichem’s “Gymnasium”, Moliere’s “The Fools”, Ben Jonson’s “The Alchemist”, and the highly successful (and controversial) “Clemensy for Mark Twain”, to name just a few. She is also the author of the popular FAMILY THEATRE SERIES of musical fairy tales for kids between 2 and 92, a series of plays that has grown into a repertoire of more than 20 productions, performed both in-house and internationally. In the past few years, Evelyn has taken several new performance pieces from initial idea, through play-building, staged readings, workshop performances and finally to Main Stage productions and international tours. "2004 - a telling of tomorrow”, a musical history of a potential future world, had its European premiere in Stratford-on-Avon in July of 1991 and was the first theatrical production to be given permission by British Heritage to perform on a Heritage Site, the famed ruins of the Kenilworth Castle. 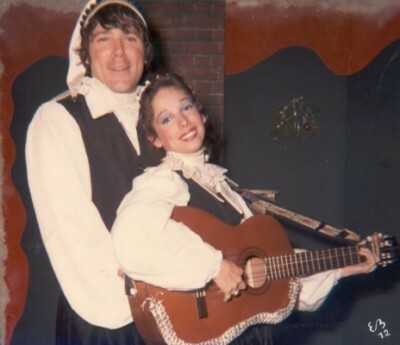 "Mezzanine”, a musical drama about suicide, teen pregnancy and resourcefulness of the human spirit, played to sold out houses for five months, then toured England. 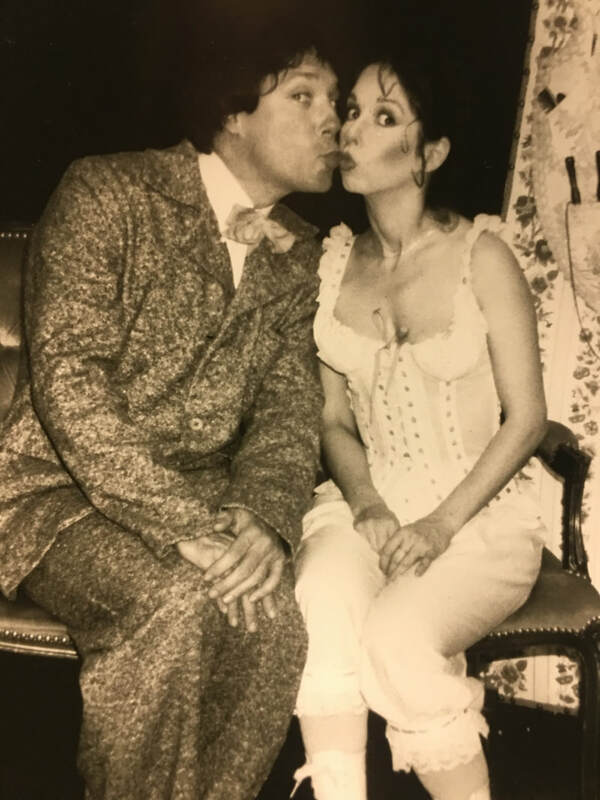 The renowned dramedy, “Dear Gabby”, a theatre piece which deals with growing up, first love, drugs, rejection and the passion and pain of piano lessons, performed continuously for sixteen years, touring the United States, as well as England, Ireland, Canada and Japan. The Spanish-language version, Querida Gabby: las confesiones de una ambiciosa, translated by Playhouse alumna Margaret Boyle, had its world premiere staged reading in 2003. Evelyn co-wrote and was featured in Love in Bloom (Critics’ Pick of the Year, American Radio Network), and is currently creating a world premiere musical, My Father’s Trunk, based on songs and material written by her father, the late composer-lyricist-playwright Emery Bernauer, between 1934 and 1937 for the Nelson Revues at the Tuschinsky Theatre, home of the underground pre-war Cabaret theatre in Amsterdam. 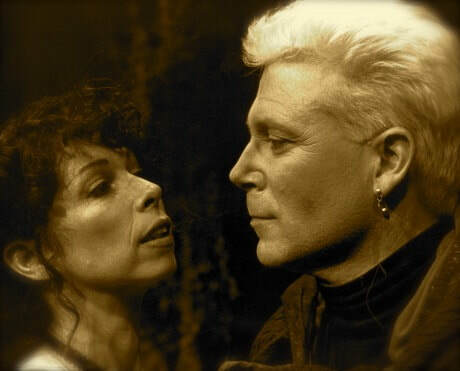 In March of 2002, Ms. Rudie completed fifty years – two thousand six hundred weeks – of uninterrupted participation in theatre, film, television, and arts-in-education, for which she received commendations from the Los Angeles City Council, the Los Angeles County Board of Supervisors, and the California State Senate and was awarded the Women In Theatre’s coveted Red Carpet Award for her support of and involvement in the performing arts in greater Los Angeles. 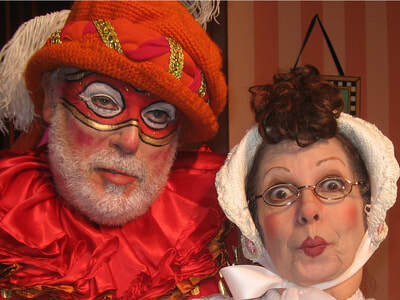 Her record of continuous theatrical and educational commitment continues to this day. Chris DeCarlo has been directing, writing and acting in Los Angeles for over fifty years. As a performer, Chris has created more than three hundred roles, with over ten thousand on-stage performances on three continents, from the Henry Street Settlement Theatre in New York to the Dream Factory in Warwickshire and the gargantuan Hitomi Memorial Hall in Tokyo. He is especially recognized for his portrayals historical figures Mark Twain, Chekhov and Moliere. Over a quarter of a million people have been touched by his award-winning characterization of Yiddish humorist Sholom Aleichem, a role he has assayed over five thousand times in the past twenty-eight years. His versatile performance style has garnered him such raves as “Magnetic!” (Drama-Logue) and “A tour-de-force performance!” (B’nai B’rith Messenger). Always the explorer, his diverse choices run the gamut from the blithely serio-comic Hero in the House to the dangerously dramatic answers to unmailed letters, a collaborative theatre odyssey (Peter Manning Robinson, Bill Gough, Stephen Rothman and Evelyn Rudie) based on his personal experiences in Vietnam. Chris combines performing with an active career as director and educator. Chris has directed countless World Premieres, twelve Critics’ Picks, including Charlie Lustman’s Made Me Nuclear, Doug Knott’s Last of the Knotts, the Sroka/Fleming comedy Dying for Laughs and the 20th anniversary production of Jerry Mayer’s Aspirin & Elephants, the Critics Pick of the Year musical tribute to Shakespeare Love in Bloom, the critically acclaimed stage adaptation of Dostoevsky’s Notes From Underground, the award-winning Hard Laughs starring Sammy Shore and Ron Palillo, seven of playwright Jerry Mayer’s comedies including the award-winning Almost Perfect, Annie Reiner’s Mirage a Trois, playwright Brenda Krantz’s Lovely, starring Louise Sorrell, the bi-lingual cultural exchange play From Tokyo to Hollywood and Back Again and the Ovation-nominated Picon Pie. As Co-Artistic Director of Santa Monica Playhouse, he has been directly responsible for more than 250 American and World Premieres, including Michel Garneau’s Quatre a Quatre, Stephen King and Robert B. Parker’s RAGE, and the long-running hit musical Funny, You Don’t Look Like A Grandmother by Lois Wyse, Sheilah Rae and Robert Waldman. Chris and his wife and partner, Evelyn Rudie, have personally collaborated to create more than 500 critically acclaimed productions, including four of a projected five plays in the Sholom Aleichem quintilogy (Author! 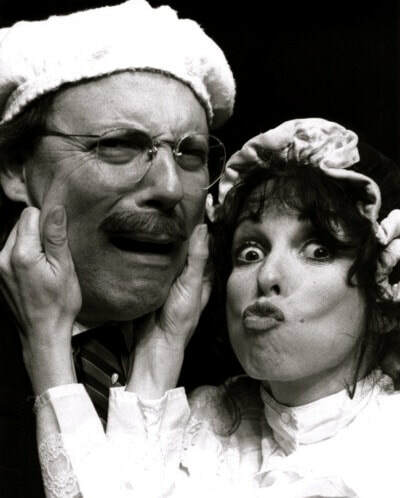 Author!–an evening with Sholom Aleichem, The Clown Prince, The Great Fair: Sholom Aleichem On Tour and Because of You: the life and loves of Sholom Aleichem). 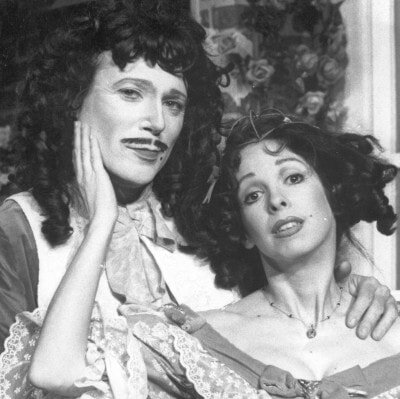 Their productions of Dear Gabby: the confessions of an over-achiever (the longest-running teen dramedy in Los Angeles theatre history), 2004—a telling of tomorrow, Mezzanine, DOLLS!, CANTEEN: a musical reconnaissance of war and other unnatural disasters, and their translation of Moliere’s The Fools have all been performed internationally. AUDITION! 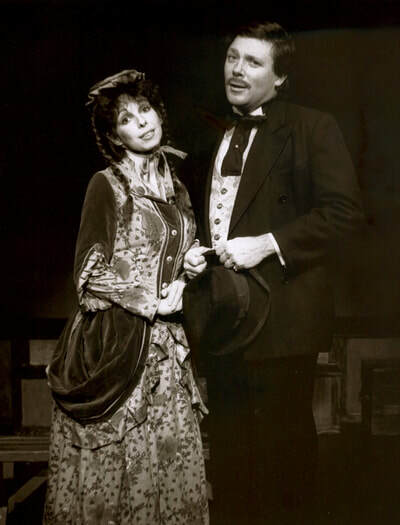 THE MUSICAL, a production he directed (“Impeccable direction!” Los Angeles Times) and co-wrote with Ms. Rudie, previewed at the prestigious Studio Theatre in Covent Garden, returned to rave reviews in its Los Angeles world premiere, and toured England, Ireland and the Netherlands. 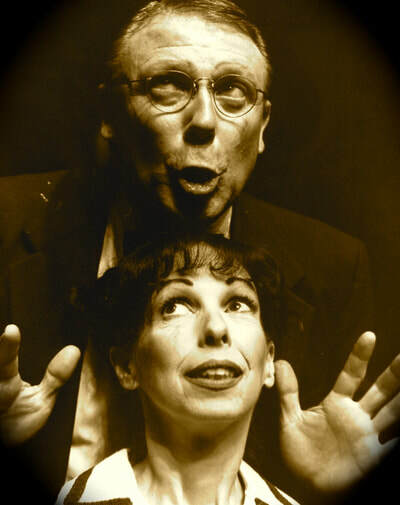 Over the course of his time as Co-Artistic Director at Santa Monica Playhouse, he has directed such show business luminaries as Frank Aletter, Haskell Anderson III, Bea Arthur, K Callan, Mickey Callan, Precious Chong, George Coe, Brett Cullen, Jan Daley, Sandy Faison, Archie Hahn, Deborah Harman, Michael Horton, Peter Jason, Paul Linke, Barbara Minkus, Shereen Mitchell, Stuart Pankin, Marcia Rodd, William Schallert, Albie Selznick, Sammy Shore, Louise Sorell, Todd Susman and Rene Taylor. As an educator, Chris is co-founder and director of the Actors Workshop and the Young Professionals’ Company, theatre-intensive internship programs for performers with serious career intent. Under his direction, the Young Professionals’ Company has traveled internationally, performing as well as leading discussions and workshops in New York, Canada, Japan, Ireland and England. Mr. DeCarlo also leads the Advanced Technique Workshop, the Advanced Internship Program, the Advanced Preparatory Program and the Dear Gabby Project. He is co-founder of the Kids-in-Theatre Educational Conservatory, Actors’ Repertory Theatre, the Young Professionals’ Company, the American Cultural Youth Ambassadors, the Diversity-in-Education Program, the Schools Theatre Excursion Project and Project: OutReach. His innovative methods of utilizing theatre as a tool for cross-cultural and cross-curricular education, developed over 40 years through work with students locally and nationally, as well as in Japan, England, Ireland and Canada, are renowned internationally and are currently being utilized in classrooms across the globe. Former students include performers Kate Hudson, Zooey Deschanel, Emily Deschanel, Jason Ritter, Jason Segel, Azura Skye, Emmy-award winner Aisha Waglé, novelist Rebecca Donner, filmmaker Shana Feste, producer/writer Rina Mimoun (Dawson’s Creek, Gilmore Girls, Pushing Daisies, Mistresses), casting director Liz Dean, Newark Superintendent of Schools Cami Anderson (Time Magazine’s 100 Most Influential People in the World), Gadi Dechter (former senior adviser at the White House National Economic Council and National Security Council), and musicians Terri Nunn (Berlin) and Mickey Madden (Maroon 5). 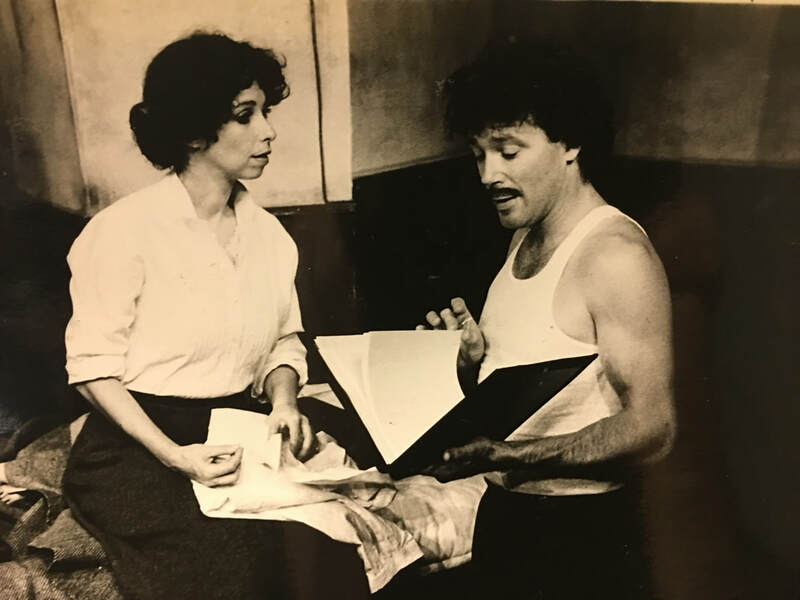 In addition to his work at Santa Monica Playhouse, Mr. DeCarlo teaches in the public and private school systems, and has developed theatre programs for such SMMUSD and LAUSD Schools as Edison, P.S. 1, John Muir, SMASH, McKinley, John Adams, Grant, Paul Revere, Mark Twain, Manchester School, as well for Model Language Studio in Tokyo, International Human Network in Kyoto, Playbox Theatre in Warwick, England, South Island School in Hong Kong, the Henry Street Settlement Theatre in New York, the University of Ulster at Coleraine, the Maharishi School in Fairfield, Iowa, and Kent State, the Northridge Play Project, Firestone High School and The Muse Machine in Ohio. Awarded a Bronze Star for his film work with U.S. Army, he studied with Agnes Bernelle at The Project in Ireland, the Lee Strasberg Institute, Belgian director-producer Ted Roter, and British West End director Marianne Mcnaughten. Chris and his partner Evelyn have spearheaded numerous community service and cultural arts programs to bring the magic of live theatre to audiences throughout Southern California, as well as across the nation. These programs include the Mobile Touring Project, the Family Theatre Matinee Series, and the England Summer Theatre Adventure. Their educational outreach work stretches across the United States. They also headed a ground-breaking program for the Northridge Play Project in Ohio, helping students to craft a piece of personal theatre, Stains, Junk and Other Necessities of Life, which has now become a model for high school theatre programs. In addition to his full-time theatrical duties, Chris completed a nine-year term as Commissioner on the Santa Monica Arts Commission.